Two American Airlines flight attendants will face each other in court over a physical altercation that occurred between the two during a June 2016 flight. Wolfe initially filed the lawsuit in Tarrant County before it was refiled in federal court. Wolfe said she reported the attack to the captain, other flight attendants, and flight service manager, thus following American’s procedures under such circumstances. "I also reported the assault and battery to legal authorities after American Airlines failed to investigate and/or take action to ensure my safety," she said in the lawsuit. 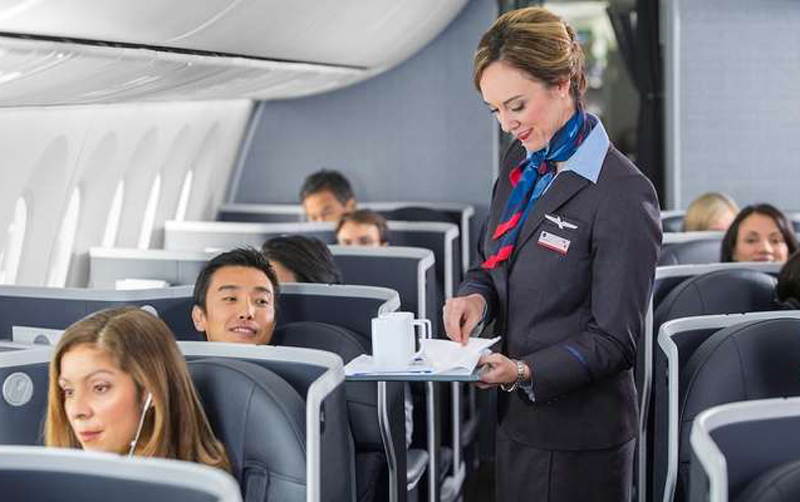 Matt Miller, American Airlines spokesman, could not speak on the specific lawsuit but emphasized that "American strives to create a work environment in which all team members feel safe and respected." Both Wolfe and Powers’ attorneys declined to comment to Dallas Morning News. However, Powers and American Airlines each filed an answer to the Tarrant County lawsuit stating that they are "not liable because Plaintiff caused or contributed to cause the harm for which recovery of damages is sought." Within Wolfe’s lawsuit, she alleges that American was negligent and created a dangerous work environment, which resulted in a breach of contract. It also claims assault and battery against Powers. Wolfe is seeking $1 million in damages. This isn't the only lawsuit American Airlines faces. They just settled a lawsuit for price gouging and will soon face another lawsuit by a woman who was raped on one of their flights.